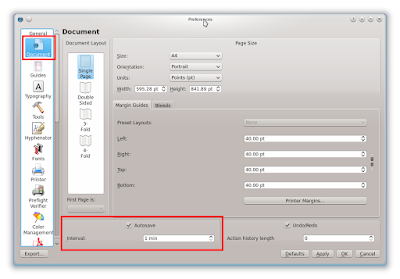 When a computer crashes, our work with Scribus may be corrupted. Things get worse when user didn't enable autosave. If so, all works when crash happens will be lost. 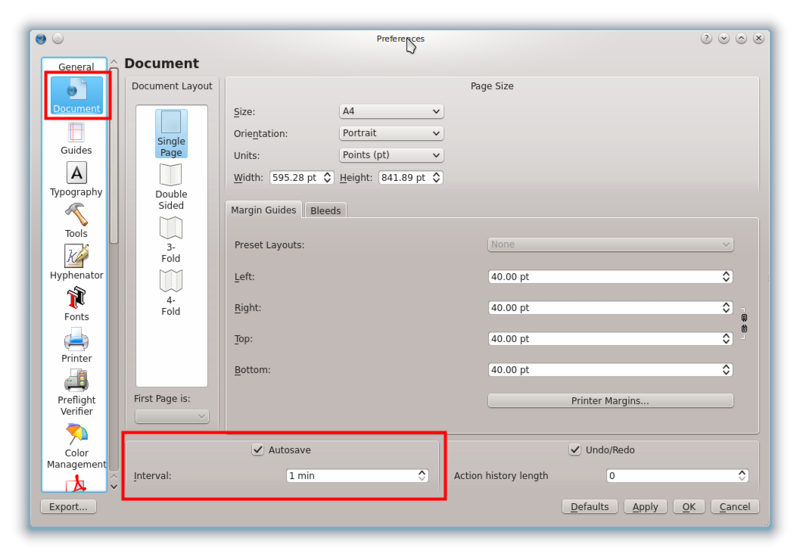 So it is better to enable autosave in Scribus. Go to File > Preferences > Document > check Autosave > set interval time. Smaller value means safer.